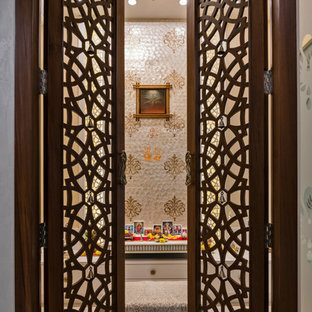 No Indian home is complete without a prayer room more commonly known as a pooja room. A rather small space, the puja room houses gods and is a place for rituals and festivities. Here is a guide with some basic tips and puja room ideas. Given most Indian homes are shrinking in size, modern pooja room designs are becoming the top choice. 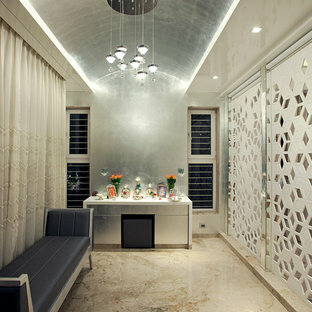 If you are building or renovating a home, talk to your architect and interior designer about your prayer room design. 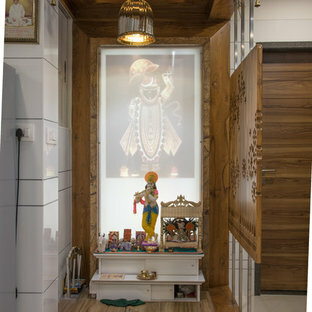 If not you can explore puja room ideas in a small house and puja mandirs on Houzz. The next step is to find where you want the room to be located. 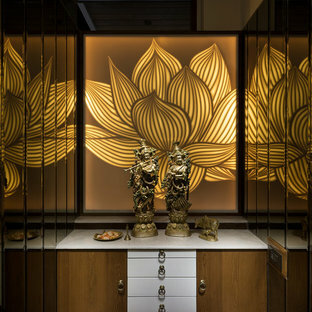 Given the serenity of the puja room, try to place it close to the kitchen or living room. 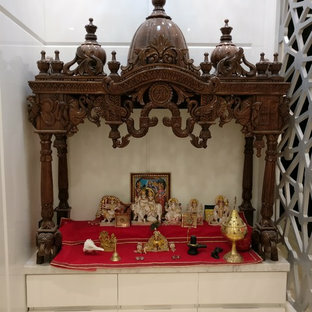 Also, take the time to explore the best puja room as per vastu, this could also give you an idea of fitting the room within the existing layout of your home. 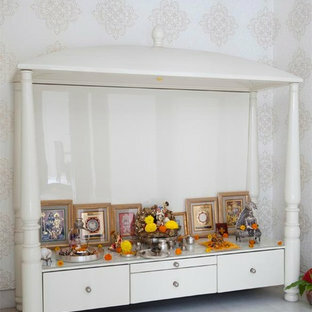 Puja room designs are diverse so set up the room and deities as per your practice and preference. As far as puja room decoration think painted walls, brass hanging lamps, Tanjore paints, and other devotional items. 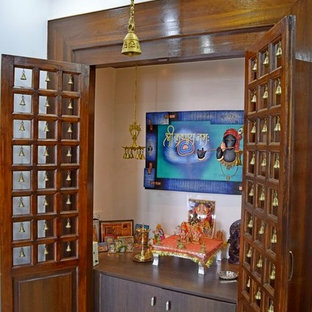 Another important element that adds to the appeal is the puja room door design. You can pick an ethnic one with bells or a modern folding sleek one to match the vibe of your home. Also, don't forget if this is too elaborate you can always look in the market for modular options. 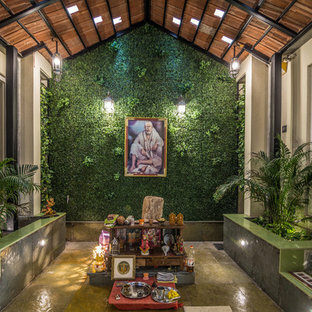 Now you can browse through Houzz to find puja room images that not only are aesthetically appealing but also invoke a divine vibe. This is an interior pooja mandir, We have customized it according to our client requirement. 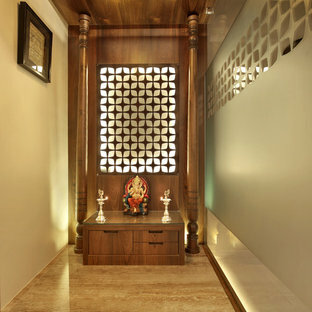 The client wanted a spacious, peaceful pooja room, so we have used minimal fixtures and designed it aesthetically ,decorted it with gold plated lamps , bells and accesories .